Bluehost VS HostGator Review: Most Important Differences Explained! With experience of both companies, I will go straight to the point & explain the most decisive differences between Bluehost & HostGator in April of 2019. This is my HostGator VS Bluehost Review — with crucial updates! First of all both Bluehost & HostGator are owned by the same company, and hosted on the same server. So in terms of performance they are exactly the same. And on top of that, both hosting companies are extremely popular. So what’s the difference in 2019? It is absolutely crucial that you host your website on secure HTTPS for no browser-warnings, better search engine rankings and other benefits. And both companies provide free SSL certificates for all websites on all plans, which is required for HTTPS hosting. But there is a significant difference. The SSL certificate on HostGator is better than on Bluehost. Read here for the details — however, what you need to know is that HostGator uses Let’s Encrypt which is supported by all browsers like commercial SSL. In terms of hosting costs, HostGator is also the obvious winner here. The regular hosting plan for Bluehost is at $3.95/month, while HostGator is $2.75. And did you know that Bluehost has no special offers or coupons, except for the regular discount available for all first time registrations. See here for best HostGator coupons for up to 60% off. Bluehost offers 50GB of website space, with 5 email accounts on a 100MB space limit each. Bandwidth however is unlimited for all plans. HostGator beats the offer with unlimited website space and email accounts with no limits, on top of their unmetered bandwidth offer. But Bluehost has a free domain offer? Well not exactly. You can obtain a free domain with Bluehost for the first year only, after that you’ll need to pay above average domain name fees. If you want to save, you’ll need to register your domains at a third-party registrar such as NameSilo where domains are cheapest on the market. But Bluehost offers SiteLock for free? I do not recommend using SiteLock for several reasons. First of all, you cannot use the free SSL together with SiteLock. You’ll need both a commercial SSL certificate and a highly expensive, upgraded SiteLock plan to get things working. On top of that, you don’t really need SiteLock. It doesn’t remove malware, only gives you notices and then charges you for it. While there are free WordPress plugins available. You can use a CDN (Content Delivery Network) from BunnyCDN for $10/year that works with the free SSL, to deliver your website content fast worldwide. 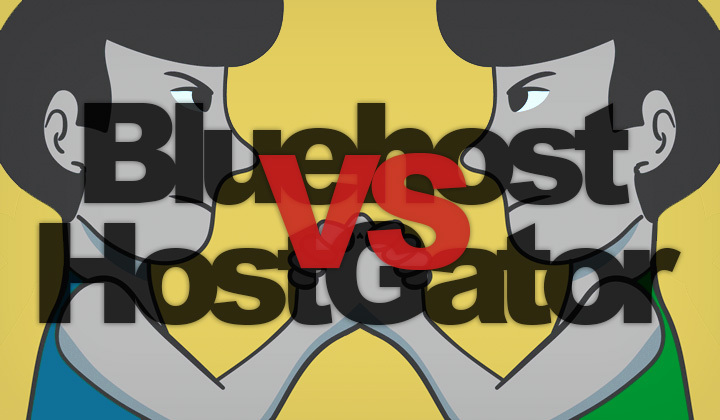 And that was my Bluehost VS HostGator review! Obviously I’m biased towards HostGator, but that’s just because what I’ve presented you with are the facts that make it look obvious.. which it is! Both host companies are on the same server, they’ve just taken slightly different paths for whatever reason.. still Bluehost is doing fine with “a good reputation”. So which is your pick for 2019, HostGator or Bluehost? Please, give us your thoughts and experience with either one, thanks! Humble thanks for all readers and sharers, Tim. And let’s not forget that as is the norm in the blogging industry, some posts can contain affiliate links which hopefully support my time writing useful content. My most sincere wish is that we have benefitted from this mutually. Thank you.